Mild conditions overnight with rain and sleet affected the area, This morning was largely dry with some new snow arriving by afternoon, the older snowpack has a fairly widespread surface crust. Isolated areas of unstable windslab are now forming in sheltered locations mainly at highest elevations. 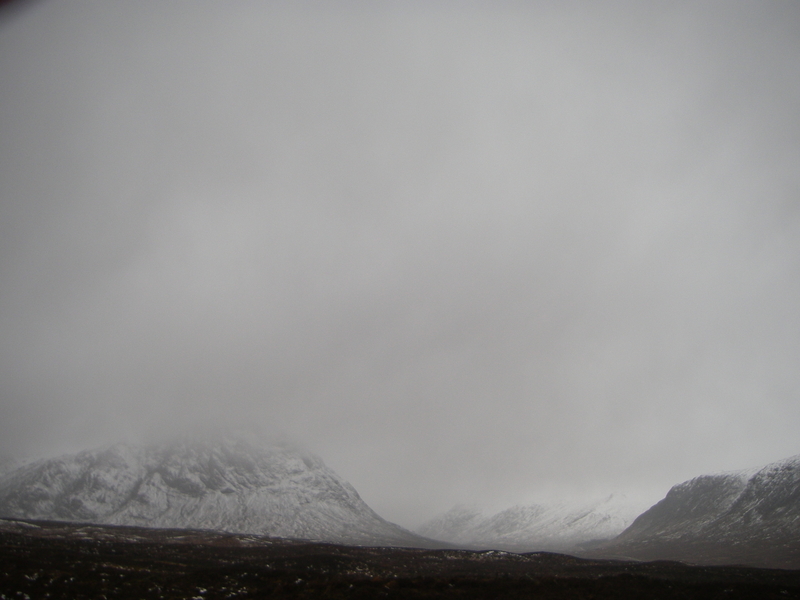 A more organised band of snow overnight will form more extensive poorly bonded windslab in sheltered locations, with variable winds overnight accumulations could potentially exist on many aspects mainly above 850 metres. 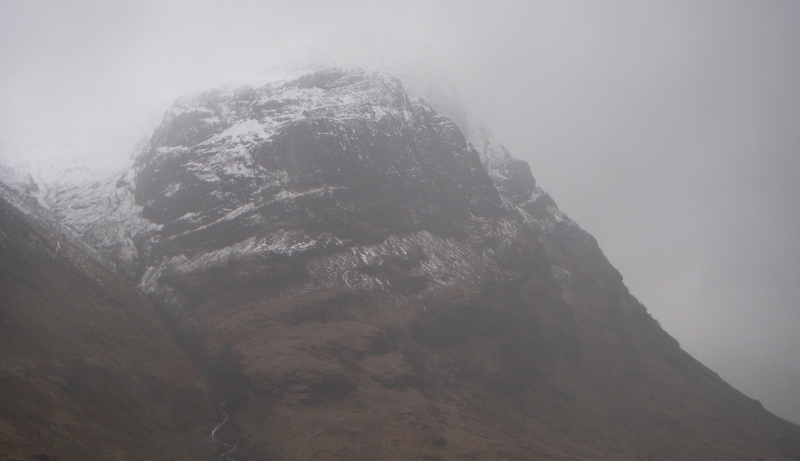 Sron na Creise, before the snow started. 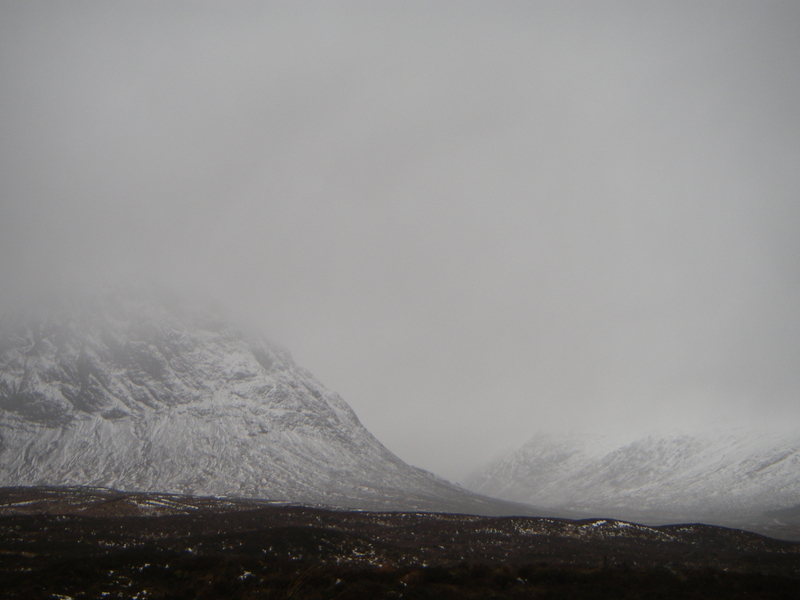 Snowing, Buachaille Etive Mor and Glen Coe to right. 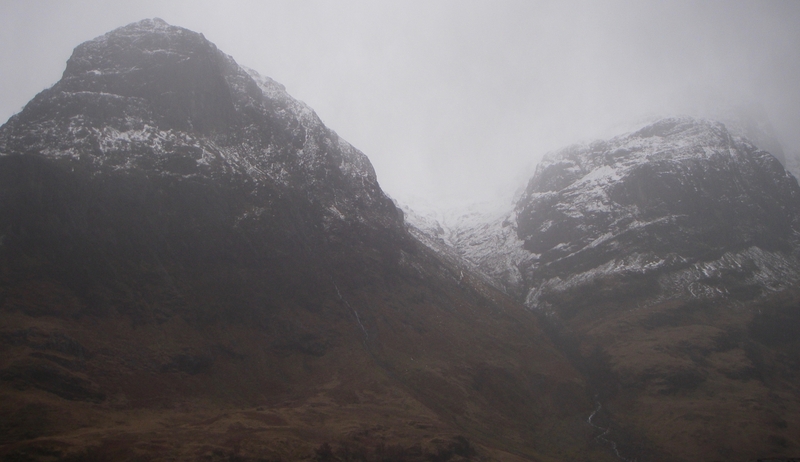 Snowing, Gearr Aonach left, Aonach Dubh right.